KARACHI: Former Pakistani president Pervez Musharraf has alleged Pakistan Peoples Party co-chairman and his successor in Presidency Asif Ali Zardari of complicity in the assassination former prime minister Benazir Bhutto. 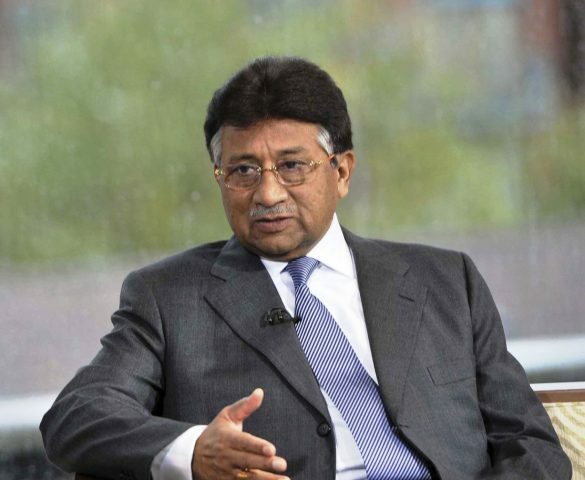 In a video posted on the Facebook page of his political party All Pakistan Muslim League, Musharraf said Asif Zardari has named him recently as the main accused in the assassination. “Therefore I am responding to his allegation. I want to tell this to the children of Benazir Bhutto- Bilawal Bhutto, Bakhtawar Bhutto, and Asifa Bhutto and the people of Sindh that Asif Ali Zardari is responsible for the Bhutto and her brother Murtaza's assassination because he had everything to gain from the assassination. This is my analysis that he gained the most out of it,” he said. Bhutto was killed in a terrorist attack in Rawalpindi, on December 27, 2007. Her brother Murtaza had faced a similar fate during Bhutto's second government, on September 20, 1996. Zardari rose to power, becoming the president from 2008 to 2013, and taking over the reigns of PPP. The video comes after a United Nations-mandated investigation by Scotland Yard remained inconclusive on Benazir Bhutto's murder. An anti-terrorism court had exonerated five alleged terrorists involved in her murder, but the authorities are yet to release them and the PPP has filed an appeal against the verdict. Two senior police officials have been convicted and sentenced to 17 years each for destroying evidence by ordering a hasty washing of the crime scene.